From February 2014 to July 2017 David Magliano was Managing Director for Membership, Marketing and Consumer Revenue at Guardian News & Media, where his membership strategies helped grow annual reader revenue from £30m to £50m, doubling EBITDA in two years. Previously he was Director of Marketing for London 2012, the organisation which bid to host the 2012 Olympic Games. David worked with Sebastian Coe to build UK public support for the bid, and promote London's proposals to the International Olympic Committee around the world. He devised and directed the crucial final presentation in Singapore described as the fiercest competitive pitch of all time. Before London 2012, David was in the airline industry, having been Sales and Marketing Director of the low-cost airlines Go and easyJet. He was a founder director of Go along with Barbara Cassani, and was responsible for all commercial activities. He was part of the management buyout from British Airways, following which his marketing strategies increased Go's value from £100m to £400m in nine months. David helped lead the sale of Go to easyJet, and managed the integration of commercial activities during which time the company grew an additional 40%. David is a marketing professional. He has created high-profile new brands, and established marketing teams from scratch. He has been through five start-ups, an MBO, an exit and merger. David is a former non-executive director of Dyson and of King’s Cross Knowledge Quarter. 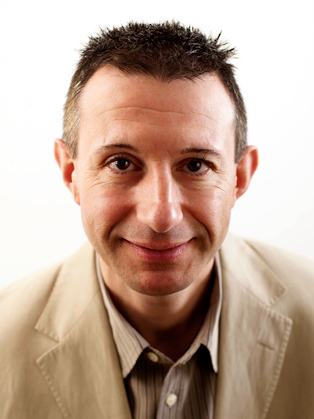 David has been UK Marketer of the Year twice (1999 and 2005), and Advertising Age's Global CMO of the Year (2006). He was awarded an MBE in 2006.